The North Room is on the first floor. It offers a double bed and is tastefully furnished with a separate sitting area. It is spacious and offers a view of the back pasture. 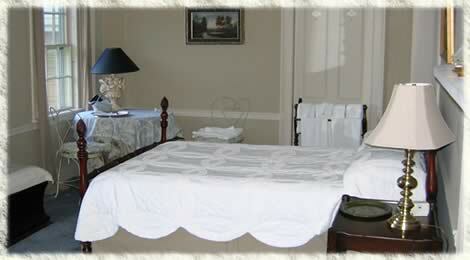 Starting at Only $105.00 – $120.00 Single/Double Occupancy. North and South Rooms Only $200.00 – $230.00 Single/Double Occupancy.